Landmark Lending has been serving California mortgage loan clients since 2001. Located in the beautiful city of Pleasanton, Landmark Lending provides a variety of loans for the mortgage industry. Regarded as one of the top mortgage lenders in 2018, we specialize in providing solutions for home owners and future home owners through wise planning and sound advice. There is a variety of loan options available and you never really know which is the best for you. Your best choice is to start with a thoughtful review of your personal circumstances, goals and find out the best options available for you. Would you would like a FREE analysis of your loan needs and a variety of options before you apply or finalize your mortgage loan? Start now by requesting a complete and FREE audit with a review and a variety of loan options, or simply request we contact you at your convenience to discuss the best way to get your loan process started! 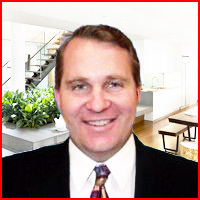 Ricky Walters is a well-respected mortgage broker consultant in the Pleasanton/East Bay Area. He earned his Bachelor of Science degree in Computer Science from the University of Kansas. Ricky enjoys volunteering time in the community and has served 5 years as a Marine Corps Artillery Officer. Camping, mountain biking, and spending quality time with his family are amount his favorite activities.